Do you ever get that feeling that you're missing out on something because you keep holding on to some misguided belief that everything will get better? Well, I had that feeling and Lady Luck always crushes my expectations that I learned to scrap those feelings away and instead focus on the now, and what's in front of me. 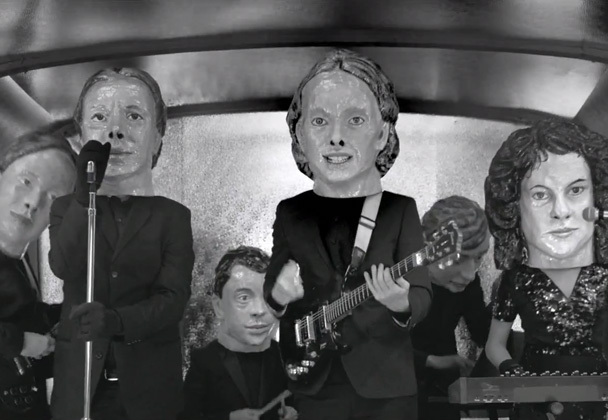 Watch the new music video for Reflektor by Arcade Fire. Despite its quite sad tune and lyrics, the music video of Reflektor by Arcade Fire brings about a few smiles now and then. The funny, over sized head masks tickle me into submission and jump into the world of the video. Along the way of their travel -- or an intended search -- they found a live glass man, most probably the one referred to as the Reflektor. Is it just me or this whole video feels like a new book from the Oz series by L. Frank Baum. Reflektor is the lead and carrier single of the upcoming fourth studio album of the said band. The album will be released on October 28, 2013.